Serene Williams stunned at the French Open. SERENA Williams donned her Supermum body suit and made a triumphant return to the French Open. 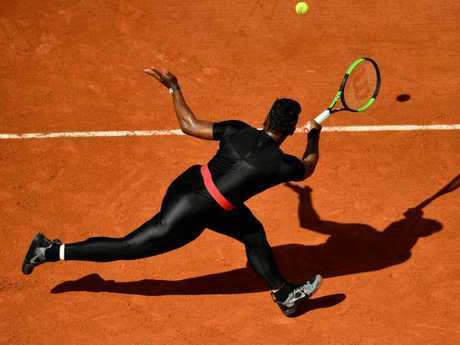 The former world No 1, playing her first Grand Slam since giving birth to her first child last September, wore a mostly black outfit with leggings in the Paris sunshine. Her impressive physicality and speed left the French Crowd stunned, but her new body suit ensemble was the talk of the town. Sporting an all-black "superhero suit" with a red stripe across her core that hugged her post-pregnancy figure from neck to ankle, Serena revealed after her big win that she specifically chose to wear the "catsuit" to send a message to mum's all over the world. 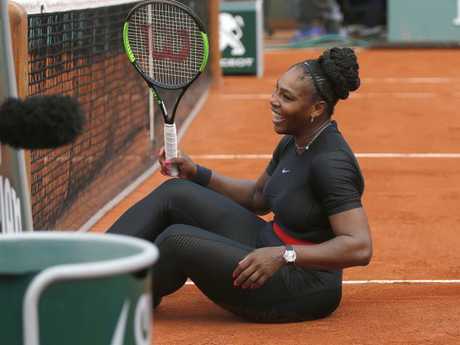 In a series of emotional post-match interviews, Williams said she hoped to send a positive message to mum's about body image and returning to life after giving birth. "All the mums out there that had a tough pregnancy and have to come back and try to be fierce, in a middle of everything. That's what this represents," Williams said. "You can't beat a cat suit, right?" You cannot beat a catsuit. She also said she liked the similarities the suit shares with fictional Marvel superhero Black Panther's own super suit. "I call it like my Wakanda-inspired catsuit. It's really fun," she said. "I feel like a warrior in it, like a warrior princess kind of, queen from Wakanda maybe. Her bold stand for mums was just one of several brave messages the 36-year-old made after her grand slam return. She said in her post-match press conference, tennis is no longer her top priority. She wants to win tennis matches, but husband Alexis Ohanian and first daughter Alexis Olympia Ohanian are now her world. Since giving birth for the first time in September, 2017, Williams' world has completely changed. Not bad for a new mum. 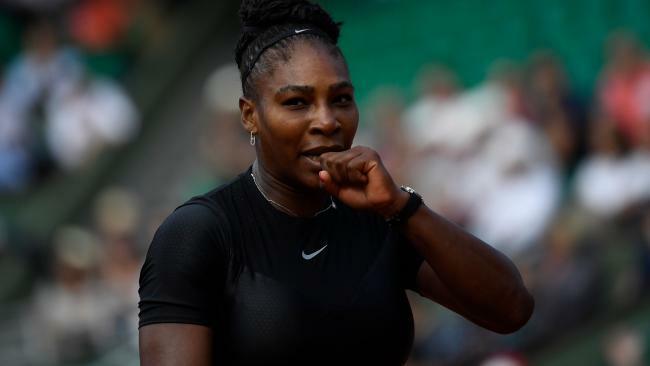 While admitting tennis is no longer her first priority, Williams also revealed the incredible hunger and determination she has had to have to fight her way back into shape to compete at a grand slam. "Well, first and foremost, you have to get your core back, which is hard, because it literally spreads when you have a baby," she said. "That's difficult. And just coming back from the physical of having a baby, at my age is never, I think, really easy." There was the issue, too, of post-birth challenges. "Without trying, I have just been speaking out about it, and so many women can relate," she said. Serena Williams is till on top of the tennis world. "And now they feel to speak out about it. And then we can open up the community and talk about it more and help each other out, because it's something that we should talk about. "Emotionally I think it's different, because I'm so emotionally attached to my daughter. Dads are, too, but I actually breast fed for a really, really, really long time, and so I just had this real connection with my daughter. 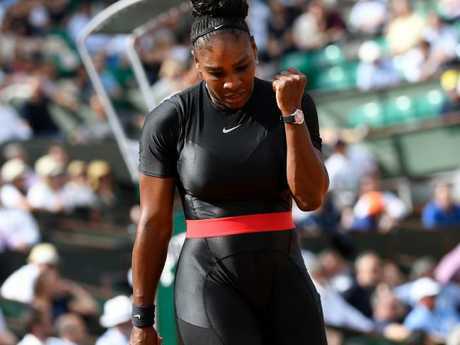 Williams has spoken about health concerns over blood clots in the days after giving birth, and on Tuesday said: "Yeah, the catsuit, I had a lot of problems with my blood clots, and, God, I don't know how many I have had in the past 12 months. "So it is definitely a little functionality to it. I have been wearing pants in general a lot when I play so I can keep, you know, the blood circulation going. 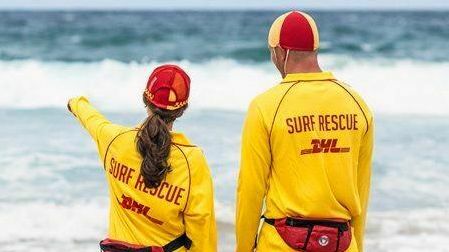 "It's a fun suit, but it's also functional so I can be able to play without any problems." Williams also opened up on balancing her new role as a mother with that of the sporting star the world has watched for almost two decades. Next up for Williams is Australia's 17th seed Ashleigh Barty.